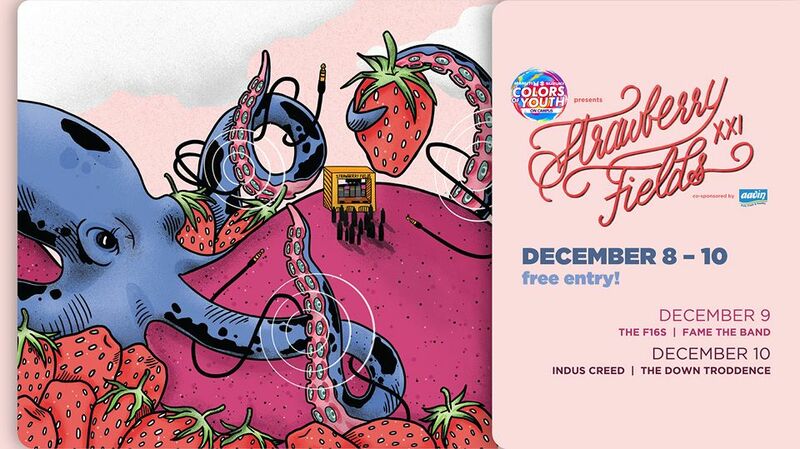 NLSIU Bangalore’s Music Festival Strawberry Fields XXI [Dec 8-10]: Go go go! National Law School of India University, Bangalore is happy to announce that Strawberry Fields XXI will be taking place from the 8th to 10th of December this year! This year, we’re proud to host The F16s, The Down Troddence, Fame the Band and Indus Creed! Each brings their own unique style of music and with such amazing bands, we expect both Saturday and Sunday to draw in thousands of people from all over Bangalore. Ever since its inception way back in 1996, Strawberry Fields has focused on promoting grassroots music; this is why the entry remains free for all with no formalities. Rated as “India’s best college rock festival” by the Rock Street Journal, Strawberry Fields is a fantastic platform for upcoming bands. The show goes on for three days, with the bands from all over the country battling it out on the first two days and five finalists then proving their mettle on the final day. These 40 bands are coming from all over the country including Delhi, Mumbai, Calcutta as well as the North East and all of South India. The show is eclectic with no constraints on genres. 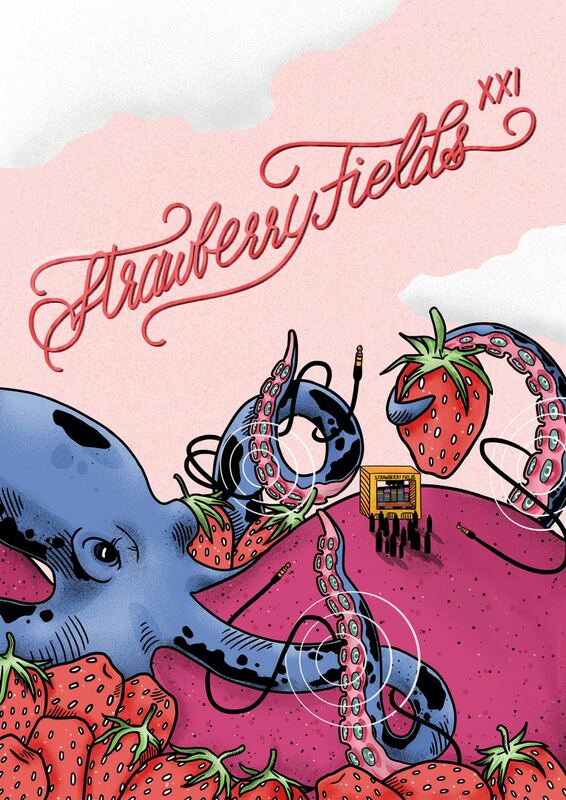 In connection with its goal to promote original music, Strawberry fields has served as the launch pad to both fame and success for many of the most respected bands in the Indian music scene. Bands like Thermal and a Quarter, Demonic Resurrection and Mother Jane began their journey to success after winning at Strawberry Fields. The winners in 2015, Rocazaurus, opened for Slash, in 2016, one of the best guitarists in the world. With the guarantee of great music, good fun AND free entry, there is no better place to be this weekend!